Please note: The rings are $23 PER BAND. So, for example, if you'd like a stack of 5 bands as shown in the first listing picture, you must purchase a quantity of 5. 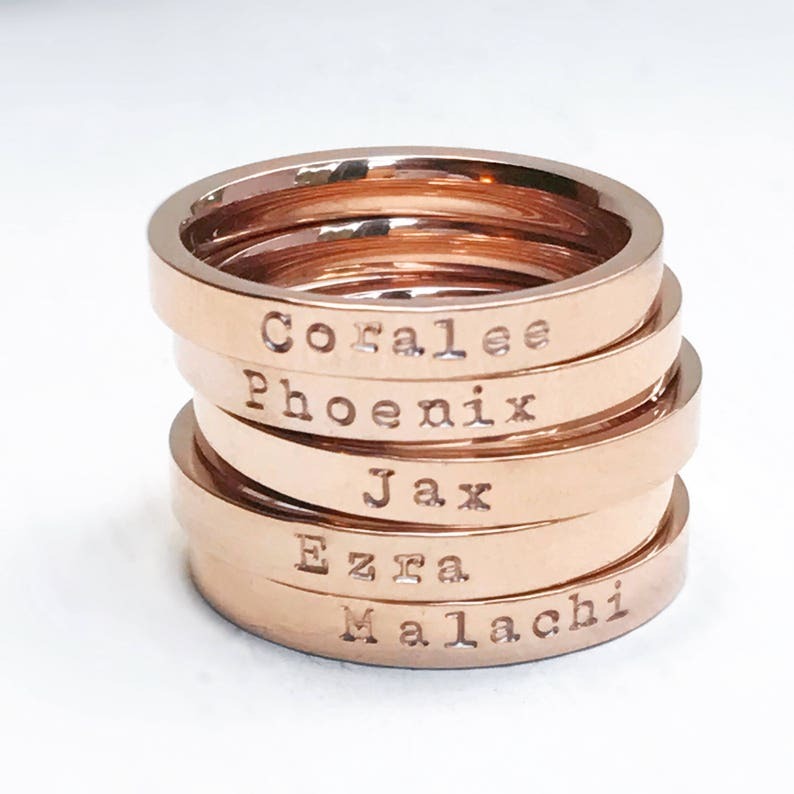 Our best selling 3mm personalized band is now available in ROSE GOLD! I do not have the birthstone bands available in rose gold. Available in whole sizes 5-10. 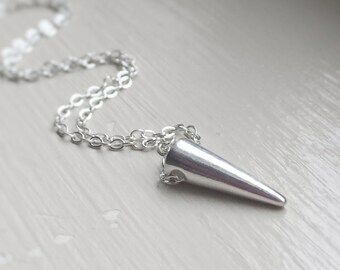 Stainless steel is a fantastic sterling silver alternative. It is more hypoallergenic than even sterling silver and will never rust or tarnish. It is recommended rings not be worn in water, however, as the darkening in the letters will wear quicker. The first listing picture shows a stack of three rings. If you'd like three rings, please purchase the quantity of 3. Buying "1" means you are purchasing one ring. **IMPORTANT** If you will be wearing more than 2 or 3 rings on the same finger, you may want to consider sizing up one size to accommodate for how high the stack will sit on your finger. Rings are available in whole sizes ONLY. Since these are custom made-to-order, there will be NO refunds on rings if you order the wrong size, so please be sure you are ordering the correct size. I can only stamp the outside of the rings. Your ring set will arrive in a drawstring bag, ready to give as a gift. I absolutely love it, had it made in memory of my momma 💕. Thank you!! The ring is everything that my girlfriend wanted. Being a nurse, she can’t wear bracelets or necklaces. So this ring with our initials on it is perfect for what she wanted. Would do business with this shop again!! !